Mr. W.N. Landekar is a Mechanical Engineering graduate from Poona University, with a vast experience in Forging Industry. He has worked with Bharat Forge Co Ltd. Asia's biggest and world 2nd largest forging unit. He has rich experience in production line having hammers 1 ton to 12 ton, up setters 4 inch to 7.5 inch and presses 1600 tons to 4000 tons. His production experience consists of production of around 1000 automobile components such as crank shaft, cam shaft, connecting rod, axle beam and axles and many more. He also worked as a manager for 3 years with Patheja Brothers Forging & Stamping Pvt Ltd, Satara, Maharashtra & other forging companies for 7/8 years on senior level. With a strong experience of almost 35 years in Forging Industry he is now a Consultant in Forging Industry. 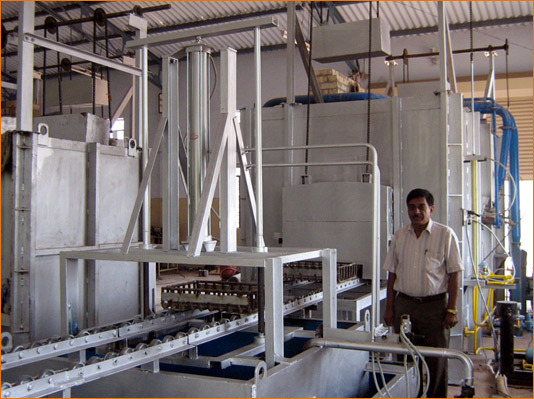 With his vast industrial knowledge we were able to start Amruta Thermal Equipments a furnace manufacturing unit in Pune. His rich industrial experience has been a milestone in our success. His constant inspiration has enabled us to reach the heights of the market.